Worldwide, girls are trafficked, married off too young, denied education and equality---and more. But girls are fighting successfully against those threats. 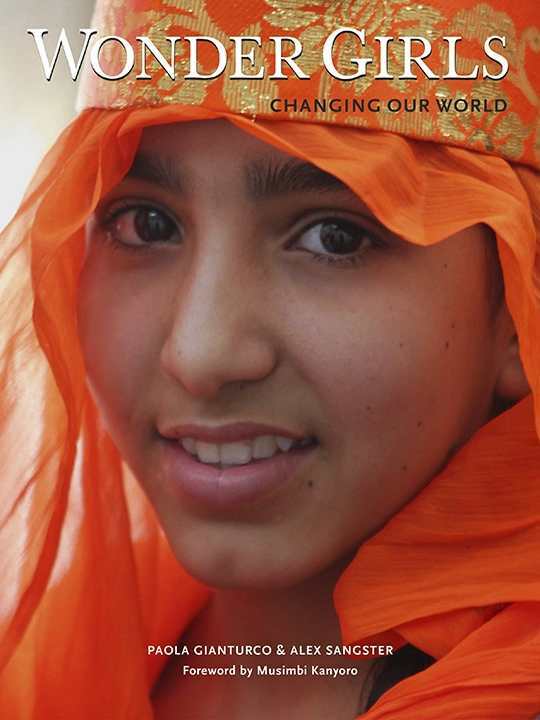 Wonder Girls: Changing Our World documents 15 groups in 13 countries, all age 10 to 18. Paola Gianturco and her 11-year-old granddaughter, Alex Sangster, interviewed and photographed 102 girls who tell their own stories in their own words. Author royalties (100%) benefit The Global Fund for Women for grassroots girls groups around the world.